This is an empty product review for the Bobbi Brown Lash Glamour Extreme Lengthening Mascara that came in a May's Bellabox. This was a really nice product to receive in a Bellabox and a really nice size. 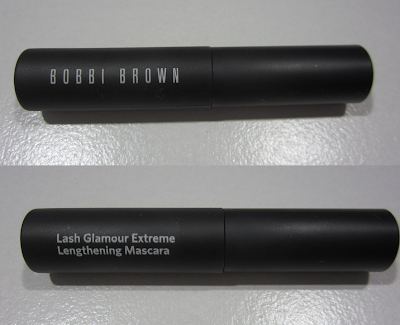 This mascara is nice and black and does indeed lengthen quite nicely. The only thing I didn't really like about this mascara is that it kind of gave me spider lashes. While it lengthened, it did nothing for volume or texture. It also seemed to dry out pretty quickly. A nice mascara but I won't be purchasing for full price.